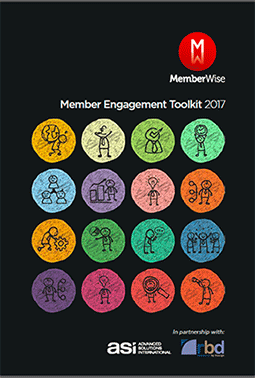 In this ASI sponsored toolkit, independent professional networking group 'The MemberWise Network' helps membership and association professionals take a more structured approach to optimising and enhancing member engagement. The content has been fully quality assured by 15 membership/association professionals (responsible for member engagement) at leading membership organisations and associations. Complete the form to receive your complimentary toolkit.